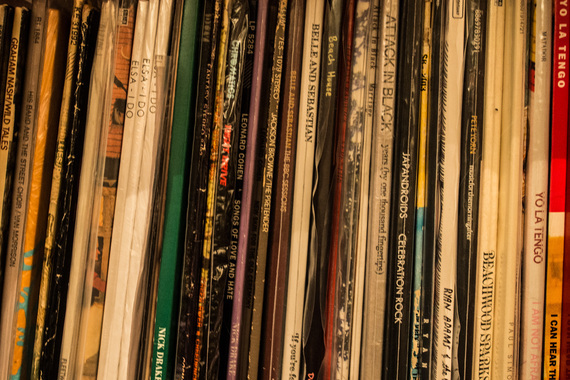 Vinyl record sales are up a staggering amount in recent years. Sales have increased year-over-year since 2008 and show no real signs of letting up. Whether or not you buy into its staying power, vinyl offers a very different experience than buying digital. What's driving a new generation's fascination with the aging format? 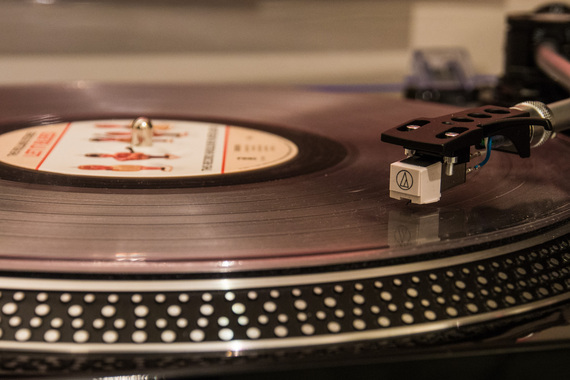 Vinyl record sales are up a staggering amount in recent years. Sales have increased year-over-year since 2008 and show no real signs of letting up. Spend 10 minutes reading up on the trends and you'll quickly begin to understand the only thing holding the industry back from even greater sales is the time-consuming record production process and the lack of modern machinery to press the actual LPs. What's also interesting about the move back to an audio format that was basically declared dead by the mainstream music consumer 25 years ago, is that it's been driven largely by a generation that grew up on CDs and digital audio files like MP3s. That said, vinyl still makes up a relatively tiny portion of music sales. Check that link -- in 2013, Nielsen SoundScan reported vinyl only accounted for a measly 2 per cent of album sales in the U.S., with about six-million units sold. By comparison, in 2013 CDs still accounted for 57 per cent of album sales with digital albums slotting in at 41 per cent. Still, that six-million mark vinyl hit is up from 4.55-million units in 2012, and it's expected to improve again in 2014. So even though it only makes up a small about of total music sales, vinyl actually gained marketshare in 2013 while the more popular formats took a step back. There's a hesitation to say this trend it will mark a permanent return to prominence for the format. 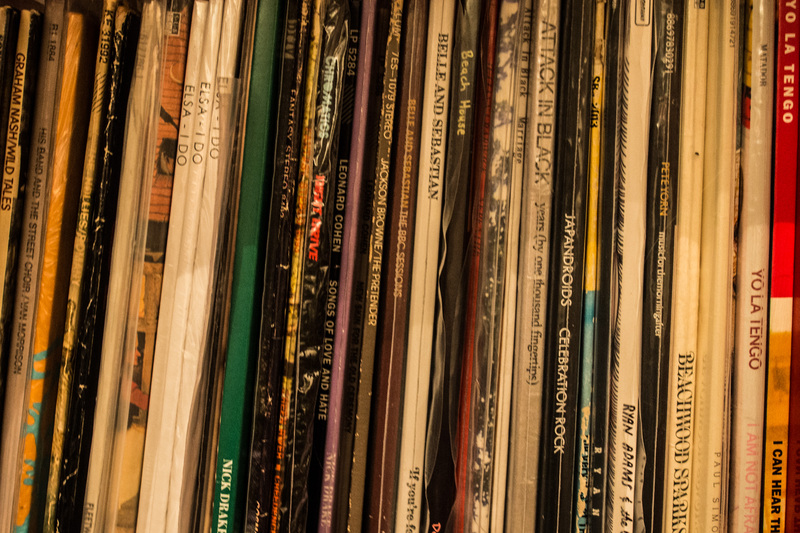 After all, vinyl album sales are nowhere near what they once were, and retro is in. Urban Outfitters, a brand that caters to the young is the second largest vinyl retailer in the U.S. by volume, behind only Amazon. Will vinyl just be another fad that's gone as fast as it arrived? By all accounts, this resurgence doesn't appear to fit the mould. Even dismissing that there has always remained a small but dedicated group of audiophiles that covet the format, record labels that press vinyl today know who's buying their LPs (millennials) and the other choices those consumers have in purchasing music. It's why when you buy a new LP today chances are it will come with a code to download a high-quality digital version of the album, because let's face it, it doesn't matter how good that record might sound, it can't offer the convenience of digital. 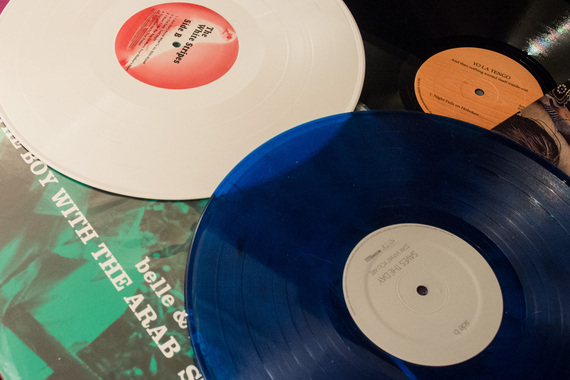 Still, packaging digital music codes with records isn't the only thing vinyl has going for it. Records offer something beyond the listening experience, something tangible. Records are prettier than CDs. They ditch the clear plastic jewel cases for beautifully printed sleeves, making them fun to display, and many have large inserts that make listening to an album an experience, not something you simply have playing in the background. In a recent interview, Stephen Godfroy, director and co-owner of Rough Trade, told The Guardian the growth of record sales is driven by younger listeners looking for a physical product to complement their digital music collection. Personally, there's an element beyond the tangible that attracts me to records. Call it nostalgia, or even longing, but I find vinyl comforting. One of my favourite memories of growing up was lying sprawled out on the floor in the loft above our garage with my brother, looking through boxes of my dad's records, with the Rolling Stones and Jackson Browne on the turntable. So I have no doubts about why I feel connected to vinyl as a format. But like a growing number of millennials, I also choose to subscribe to music streaming service (Rdio) and I definitely take advantage of all the download codes I've accumulated after a few years of buying LPs. I love records, but most of the music I listen to is digital because I'm usually on the go. Whether or not you buy into its staying power, vinyl offers a very different experience than buying digital. Whether it's the simple idea of owning a physical copy of your music, or the fun of going to a record store and rifling through row upon row of LPs, there is something much more involved with vinyl, and it drives a connection between listener and music that simply doesn't exist with other formats. A simple all-in-one turntable like Crosley's Crusier is a great place to start if you're just getting into vinyl. It doesn't have the best sound, but it does have built-in speakers, so you won't need to buy extras. It comes with everything you need to get started -- just add a record. As a bonus, it's portable and it features RCA audio outputs (which means you can eventually add a better pair of speakers), a headphone jack so you can listen in peace, and even an aux-in jack for plugging in an iPod or other digital music player. If you want create a more traditional turntable and speaker combination. Stereophile's entry-level blog series is a great place to start exploring which components you want to use. If you're interested in the setup I use in the video above, check out the description on YouTube for a breakdown of the components.